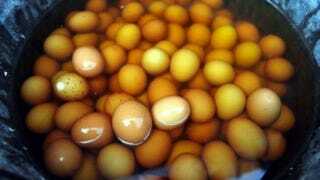 Urine Eggs? A Chinese delicacy? I'm told that “Urine Eggs” are something of a delicacy in China. 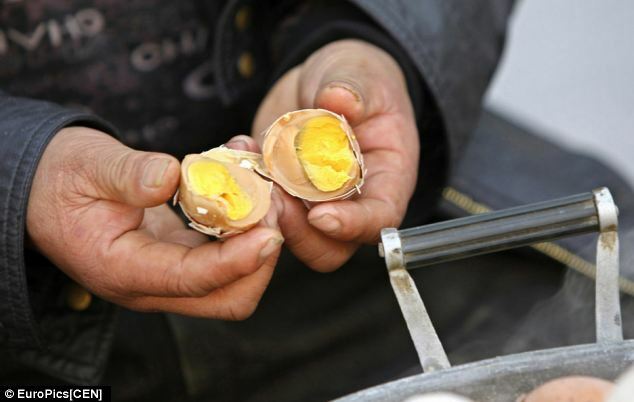 Urine eggs are apparently boiled in urine for an entire day! Bleeeuch! And they're boiled not just in any old urine but boiled exclusively in the urine of boys under the age of 10. Double bleeeuch! While my stomach is churning uncontrollably, traditional Chinese doctors are busily claiming that eating these eggs has a raft of health benefits, including increased circulation of the blood. I'm all for improving the nation's blood circulation. But Urine Eggs? Really? Is this a wily Chinese spoof? Or can there possibly be any real health benefits from eating Urine Eggy Soldiers?